I spent Valentine’s Day alone, and chose to celebrate with a delicious home-cooked meal. I think personally-prepared meals can be quite romantic, when you have a plus one. 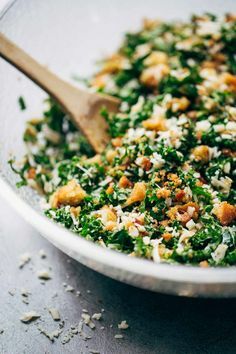 So why not make the same yummy dish when it’s just for one? 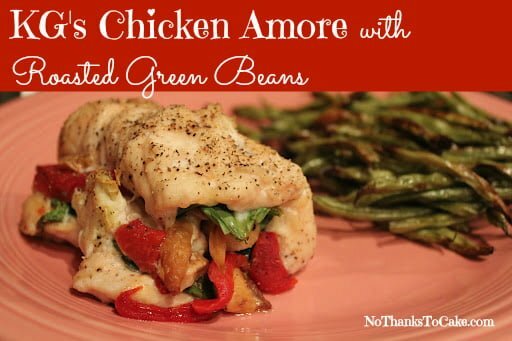 I actually caught an episode the Hungry Girl cooking show on Food Network this weekend, and HG’s fancy Valentine’s meal inspired me to create my own version of her HG’s Chicken Amore. I didn’t plan ahead, so I just did my best with what I had in my fridge. 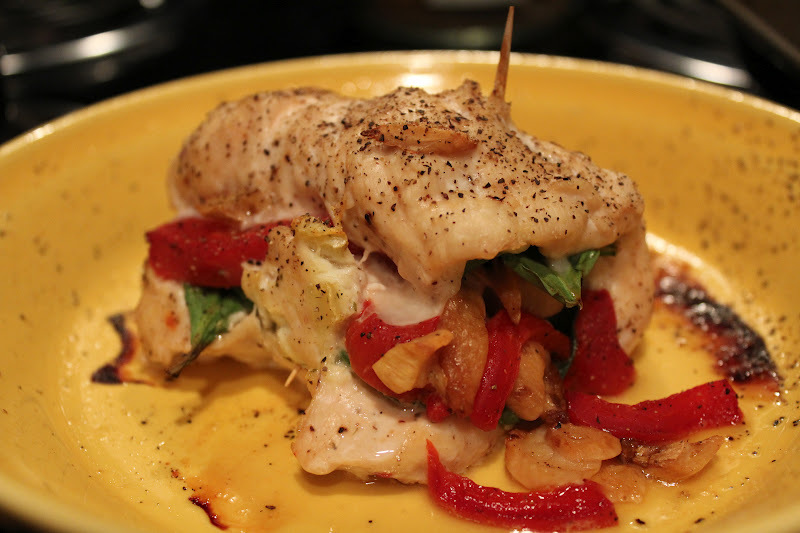 It actually was quite delish!I can imagine there’s MANY other combinations that I can come up with to make stuffed chicken… I’ll keep you posted! 1. Preheat the oven to 350 degrees. 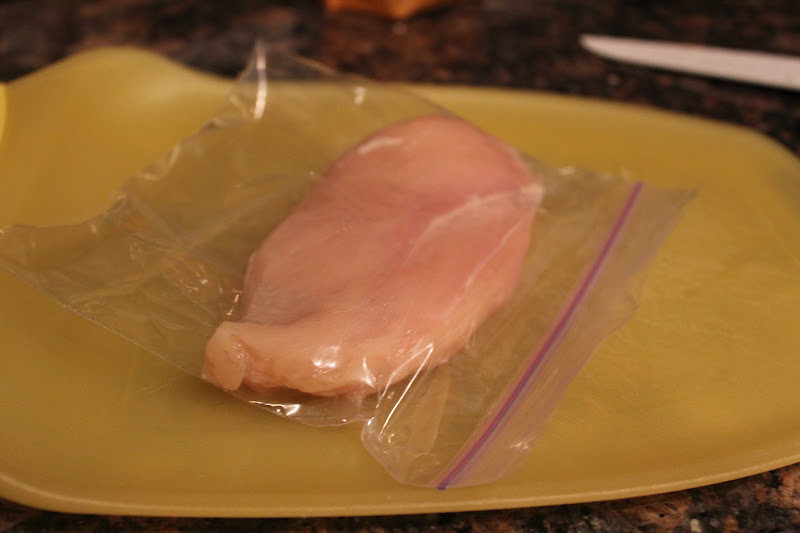 Place one boneless skinless chicken breast in a Ziploc sandwich bag, removing excess air. 2. 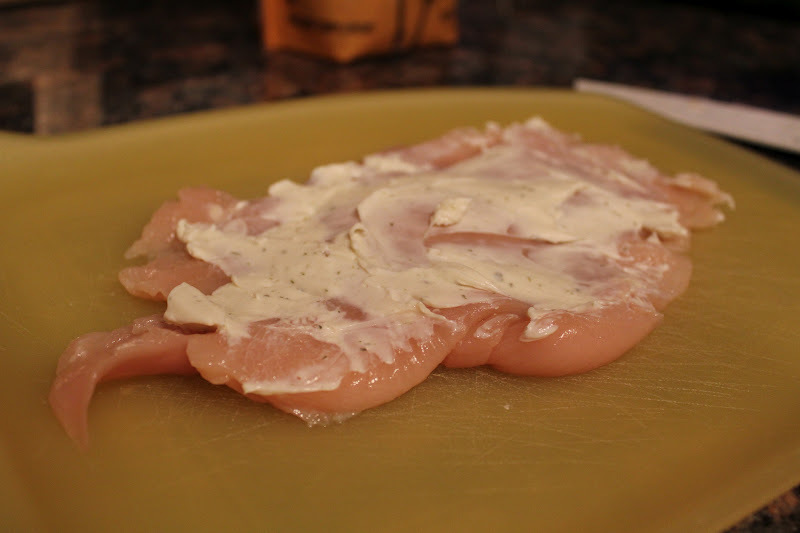 Pound chicken with a meat tenderizer to a create a thin piece of meat. 4. 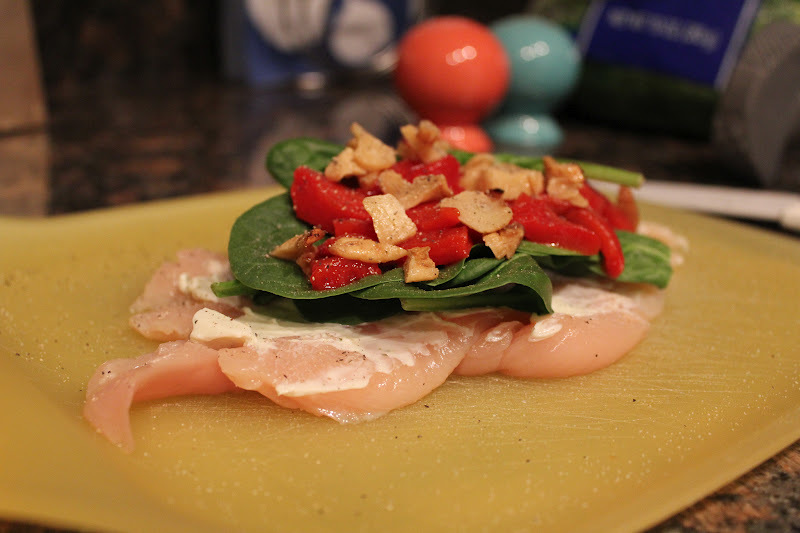 Load the chicken up with fresh spinach, peppers, and garlic. Sprinkle chicken with salt and pepper. 5. 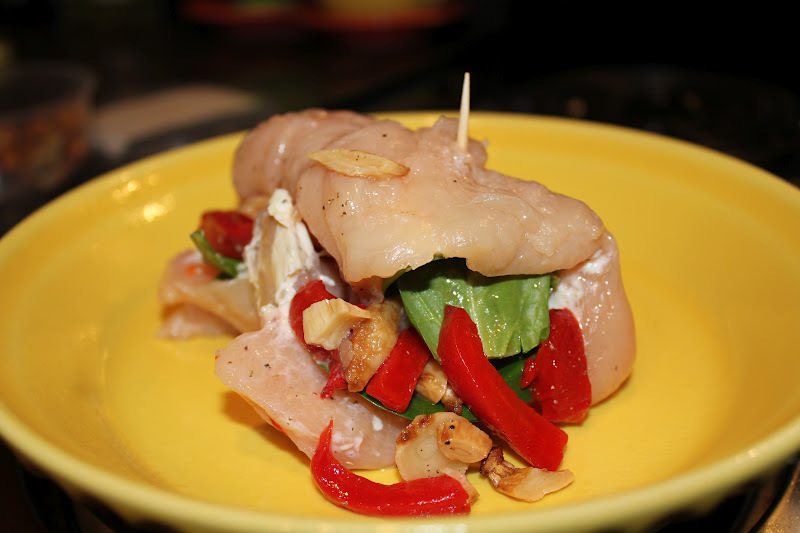 Roll this chicken up, and secure with toothpicks. Place in a baking dish sprayed with cooking spray. 6. Spray a jelly roll pan with cooking spray. 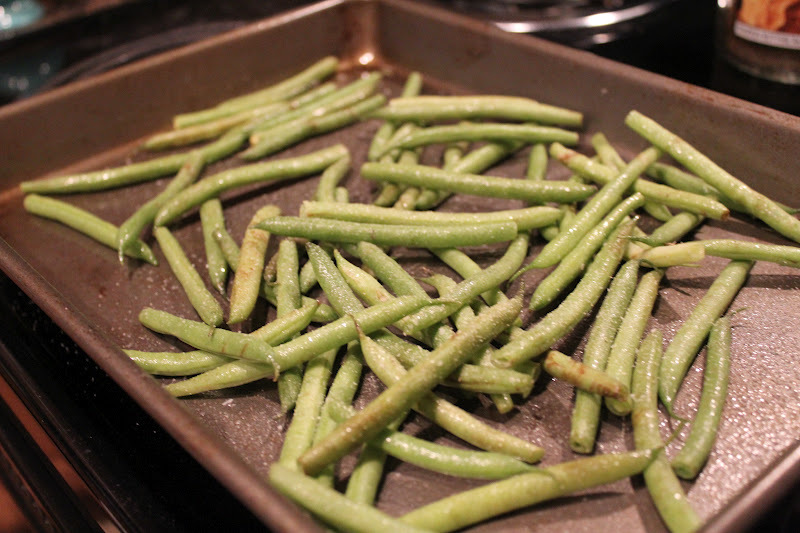 Spread out green beans and spray with more cooking spray. Sprinkle with salt and pepper. Add some roasted garlic cloves, if you choose. 7. 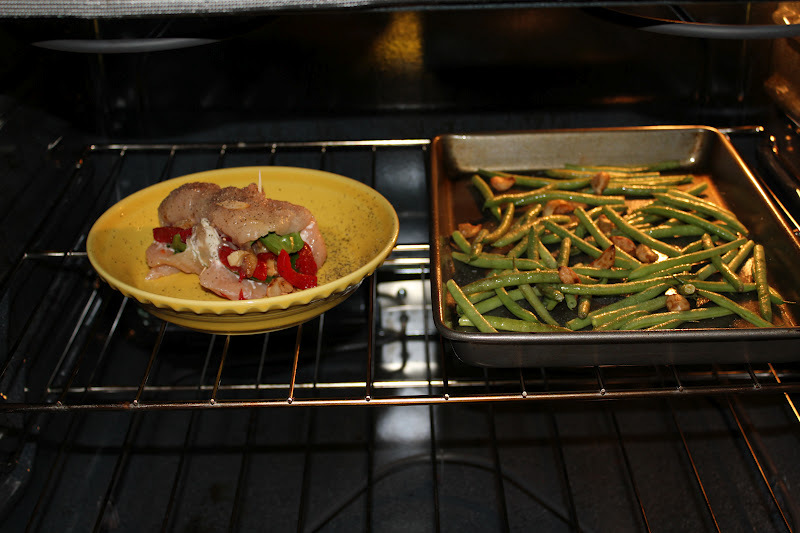 Bake both dishes at 350 for 30-35 minutes. Watch the beans to make sure they don’t get overly brown. 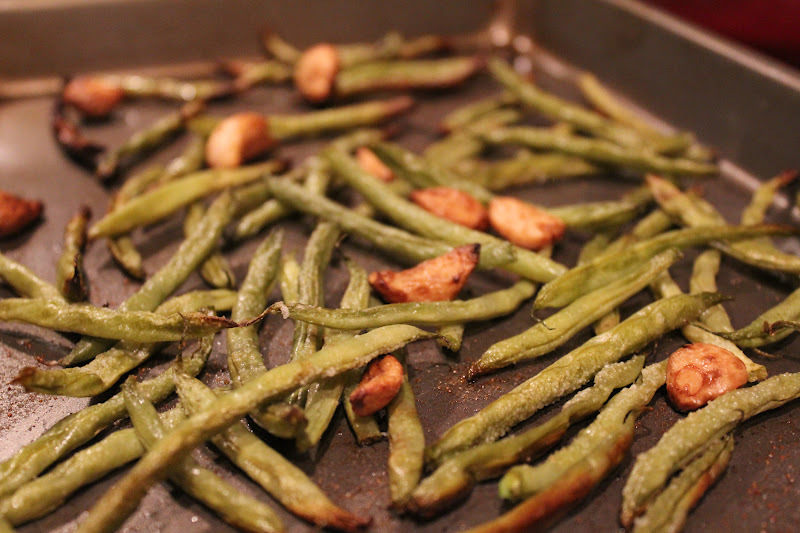 Roasted green beans have become my favorite… Sometimes, I pretend they’re fries. 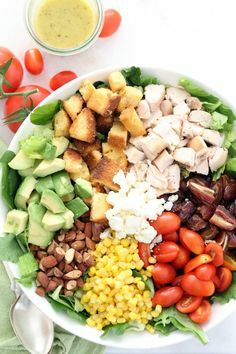 Doesn’t that look amazing??? There was NONE left.